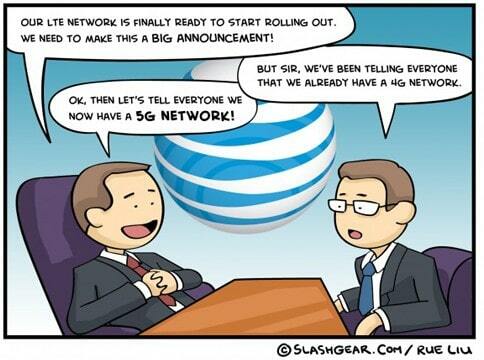 AT&T trying to trick customers to think that any phone is 4G? That’s what they’re doing with the iPhone 4S. 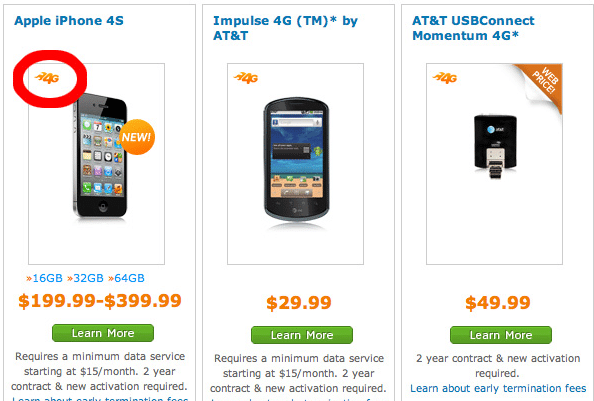 AT&T is now advertising the iPhone 4S as a 4G capable phone. But is the iPhone 4S capable of receiving true 4G speeds? Maybe… the iPhone 4S on AT&T has a theoretical download speed of up to 14.4Mb/s when is connected to an AT&T’s HSPA+ network, that’s twice the speed of the theoretical download speed that it receive when it’s connected to AT&T’s 3G network. HSPA+ is still not considered as a 4G speed by many, more like 3.5G. The sad thing is that AT&T has the right to advertise the iPhone 4S as a 4G capable phone because The International Telecommunications Union (ITU) has WiMax, LTE and HSPA+ as 4G networks.